Hey everyone! Welcome to a special blog post here on Beauty Broadcast! For years I’ve seen Lori Greiner on QVC, talking about her many patents and innovative ideas. Within the last month, I purchased a set of 2 fantastic makeup bags and posted a review on YouTube... now a week later, I’ve done an exclusive one on one interview with Lori! She contacted me after seeing my video (I tweeted her about it!) and she thanked me for sharing my opinions! I couldn’t be more thrilled with the opportunity to share some of her insights with the Beauty Broadcast family in this little Q & A! 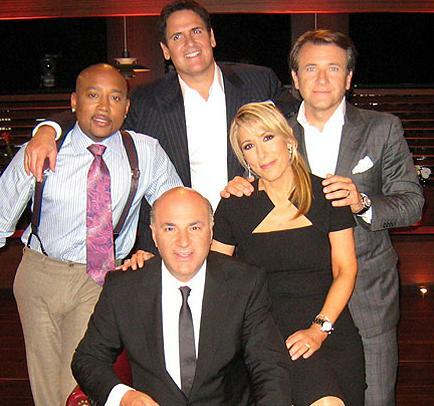 Again- you can catch Lori on Shark Tank Friday at 8 ET, 7 CT on ABC. Big thanks to Lori for taking time to chat with me! :) Click here to check out her website, or learn more about her products at QVC.com. In case you missed it, here's my review on Lori's makeup cases! I have the jewelry organizer, and it is the best purchase I have made. It looks nice and its practical? I LOVE her on Shark Tank, so happy you got to do this interview. Saw your video on the makeup organizer and liked it, now I really want it. I sent you that e-mail before I read your post here, Emily...so pls forgive the obvious ...of COURSE you know about shark tank! I have had her white Tabletop Spinning Cosmetics Organizer for over a year & love it. I can see everything I have in there making it easy to take & put back any product easily. Thank you Lori for making storage affordable & foolproof for those of us who have trouble maintaining organization (maintaining is the hardest part for people like me). I'm glad to see Lori Greiner working with you Emily. Emily is "good people" Lori :). Thanks for this review.